If you are joining one of our daily bike wine or brewery tours or are part of a custom group, whether you want to stop and smell the flowers or enjoy a multi-day fitness workout, our bike-tour specialists can design a day tailored specifically to meet your needs. High quality, well maintained bike – choose from hybrid, cruiser, and Power assist. 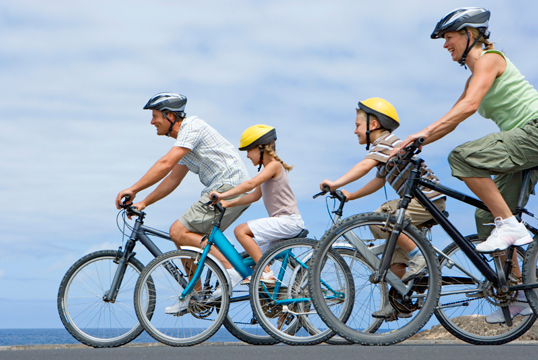 See our bike choices! Beautiful scenery, good conversation and great wine! Gratuities to our guides – this is at your discretion. Most tours begin and end at our Main Store locations. Refer to the tours page for specific locations on each tour. If you have a group that would like to begin or end their tour at their hotel, B&B or in another preferred spot we are happy to accommodate your requests. Please contact us and we can plan your tour to suit your needs. 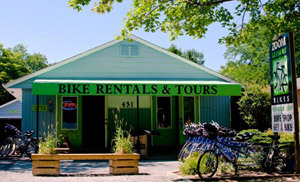 We ask that all guests please arrive 15 minutes prior to tour start time so that we can fit you on your bikes, complete paperwork and answer any questions you may have about your tour with us. If you are running late due to traffic etc. please give us a quick call so we can communicate with the rest of your tour group. We will run a tour with a minimum of 2 people but please note if only 2 people end up on a tour then a $10 surcharge is applicable. Please ask when booking to see if there are others already booked that day. Gratuities not included and are at your discretion. We ride rain or Shine. Please come prepared for all types of weather. We operate on a 24 hour notice policy for all of our individual tours. Larger group tours can be cancelled with able 48 hours notice. Custom group tours please refer to our Private Tours page for cancellation policy. Click here to learn more about our gift certificates.